Westway Lab is Portugal’s first showcase festival, featuring a PRO conference and artistic residencies. After the Austrian focus in 2018, Austrian Music Export and Westway Lab sucessfully continue their international exchange. MICKEY have been invited as artists in residence at the festival, that describes itself as a living and organic laboratory and stimulus to creativity. 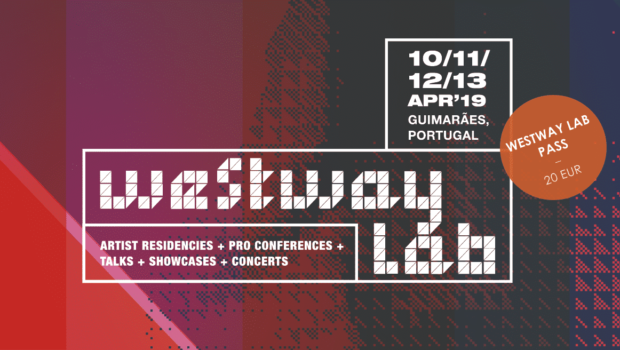 Westway Lab 2019 is taking place from from April 10 – 13 in Guimarães/ Portugal. Each year Westway LAB invites eight musicians from different parts of the world for an artistic residency. The festival puts together the artists in duos. Each duo presents the result of their work at the end of the week, in a showcase at the Café Concerto of the Centro Cultural Vila Flor. The festival’s goal is to bring together acclaimed and emerging, international and national, innovative and purist artists. 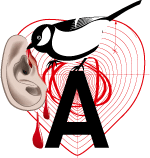 Westway LAB will feature panel discussions with Austrian participation (Spoon Agency, European Radio Plugging) as part of the Westway LAB PRO Conferences 2019. Westway LAB expands its three main conference streams, Westway PRO, INES Sessions and the WHY Portugal Event by adding a central LAB Lounge, open throughout the event, offering registered delegates a space dedicated to their networking, besides the conferences, roundtables and panels. Jeroen Siebens, radio plugger and promoter of new music to university and/or public radio stations throughout Europe, comes to Westway LAB to talk about the importance of airplay – even in the digital age; and how it is (relatively!) easy to test new music in new radio markets. In addition to their live gig at Westway Lab, Mickey have been invited to participate in the artist residencies starting a week before the festival. 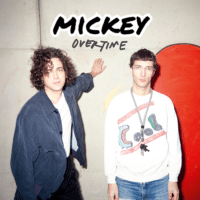 Mickey, based in Austria call their music survival pop. The duo´s debut album “Overtime” was well received by press and led them to a series of concerts. By mixing effortless classic pop, indie, dance, and R&B, Alex Konrad and Klemens Wihlidal, have created something really special. The title song “Overtime“ discusses the big promises of our times. You can only make it, if you work long and hard enough and if you are very flexible. Facing and constantly overcoming your own limitations, is a red line through the whole album and contributes to its dense and tense atmosphere. True to their motto of anything goes, in “Drive” Mickey turn the sound of a car motor into a song. Mickey have been nominated for the 2nd XA – Music Export Award, showcased at Waves Vienna and at this year´s MENT Ljubljana. In an artistic hipster manner mixed with thrash culture Mickey presented “Chagall” at the beginning of this year. Let’s see where the powerful duo will evolve during the residency. Austrian artists at Westway LAB Festival 2019 is supported by Embaixada da Áustria.